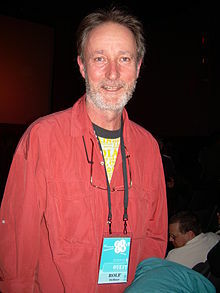 Rolf de Heer (born 4 May 1951) is a Dutch Australian film director. De Heer was born in Heemskerk in the Netherlands but migrated to Sydney when he was eight years old. He attended the Australian Film, Television and Radio School in Sydney. His company is called Vertigo Productions and is based in Adelaide. De Heer primarily makes alternative or arthouse films. According to the jacket notes of the videotape, de Heer holds the honor of co-producing and directing the only motion picture, Dingo, in which the jazz legend Miles Davis appears as an actor. Miles Davis collaborated with Michel Legrand on the score. He is the subject of the book Dutch Tilt, Aussie Auteur: The Films of Rolf de Heer (First edition – Saarbrücken, Germany: VDM, 2009. Second edition – Ebook: Starrs via Smashwords.com, 2013) by Dr D. Bruno Starrs. A comprehensive study of his films to date, Dancing to His Song: the Singular Cinema of Rolf de Heer by film critic Jane Freebury, is published in ebook and print (Currency Press & Currency House, 2015). His 2013 film Charlie's Country was selected to compete in the Un Certain Regard section at the 2014 Cannes Film Festival. Cannes Film Festival – nominated for "Un Certain Regard"
^ "2014 Official Selection". Cannes. Retrieved 18 April 2014. ^ "Flanders International Film Festival: 2006". IMDb. Retrieved 28 July 2007. ^ "2006 NSW Premier's History Awards & Fellowships". Arts NSW. Archived from the original on 29 August 2007. Retrieved 17 July 2007. 12 Canoes is the follow-up to Ten Canoes, made in collaboration with the Yolgnu people of Ramingining and released only on the internet.